My Poznan GiC slides were downloaded over 1000 times. So if anyone plans to develop this let me know, I would love to give additional input. And as promised during the talk the slides as a PDf viewer below. Alternatively, you can download the pdf (178MB) directly here. 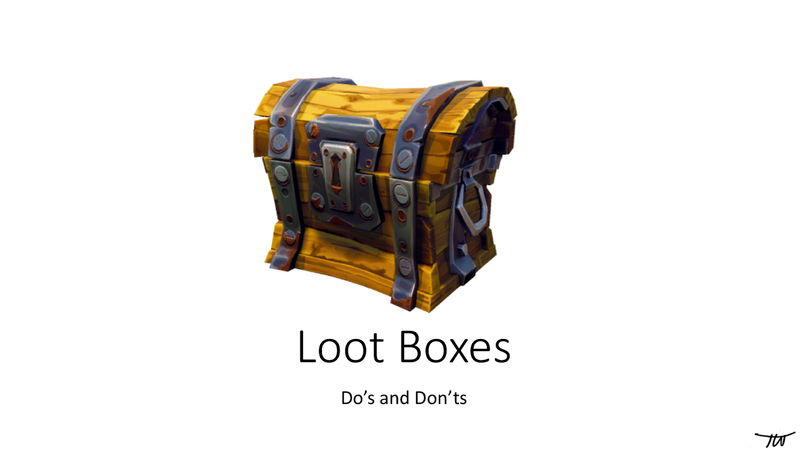 Doing my Lootbox talk, maybe they tape it so I can post the video. I am also hosting a fireside chat with Patryk from Vivid, details see link above. Looking forward to this one, as I love Casual Connects. A week later I am in Poznan, Poland, to visit GiC. 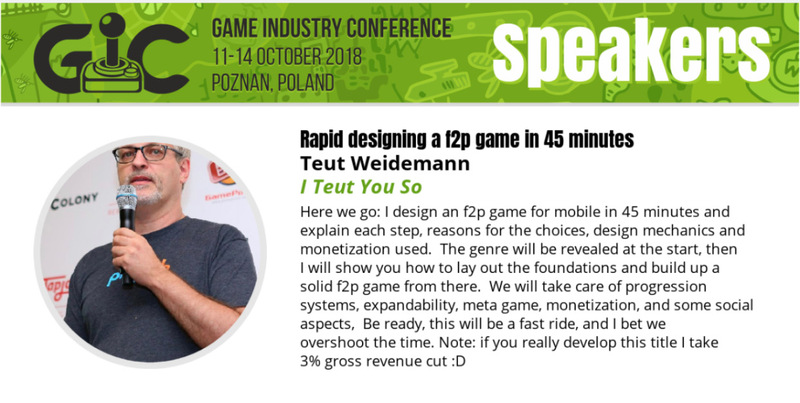 It is an awesome conference with high-quality talks, come to get some and see my talk where I try to design an f2p game in 45 minutes on stage. If you never heard of GaaS maybe you should invest some time to learn. Game as a Service, or GaaS, is the latest craze on mobile and they are all hurrying to learn what it takes. Some games implemented GaaS and made a mediocre launch a huge success. Like Rainbow Six Siege, which meanwhile is called the best tactical team shooter of the planet having over 30m players. OR GTA V, which, despite its age, is closing on selling 100m. Maybe you don't know the fun part of GaaS. The lessons you need were defined over 20 years ago, by a game called Ultima Online. And the developers spread the knowledge of their experience on GDC. Just check Raph Kosters talks and articles here. So sometimes I feel walking in the past when advising clients on what GaaS means to their development and company. Week May 8th: Oulu, Finnland, there is half a day a public workshop about the Crazy App Store and More, organized by Fingersoft. Phew. 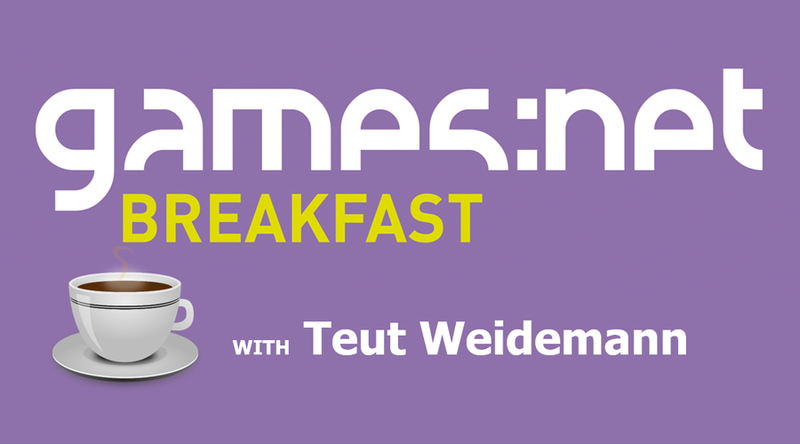 A lot, and I guess the next will be Devcom/Gamescom, but my talk isn't confirmed yet. I do remember back when I launched Panzer Elite in 1999 - a WW2 simulation, but tanks. The same year over 30 (!) flight simulations were released - each one trying to hit the gold mine. Just 11 mentioned I know a couple more. DO NOT FOLLOW THE HITS. Unless you are fast and good. OR different, very different. A new setting won't cut it.